Several thousand dogs die each year due to improper or lack of restraint while riding in the bed of pickup trucks. Dogs, no matter how well trained, can become easily agitated or excitable making them prone to unpredictable behavior, such as jumping or falling out while riding in the bed of a pickup. So here are some tips on restraining your dog in the bed of a truck. The beds of pickups can be slippery causing a dog to be thrown about the bed causing injury. 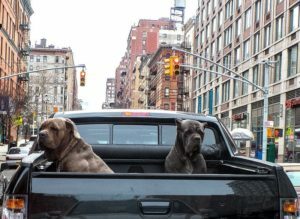 There is also the potential for oncoming traffic (especially semis) to cause a strong gust of wind and your dog could be hit by flying debris or worse be thrown from the bed of the truck and may either run off or sustain life threatening injuries.All of these reasons have made many organizations, such as the humane society, campaign against and strongly discourage dog owners from allowing their pets to ride in the bed of pickups. Several states, such as Minnesota, have even passed laws governing the way a dog riding in the bed of a pickup must be restrained. So, before you decide to allow your dog to ride in the back of your pickup, it may be advisable to check the laws in your area. Best Way to Restrain your Pet? Possibly the best way to restrain your pet is by putting them in the cab of the truck. A blanket or protective pad put down over the seat can protect it from getting covered in unwanted hair or damaged from your pet’s nails. It is even advisable to restrain your dog with special harnesses that allow them to buckled in with the seatbelt. 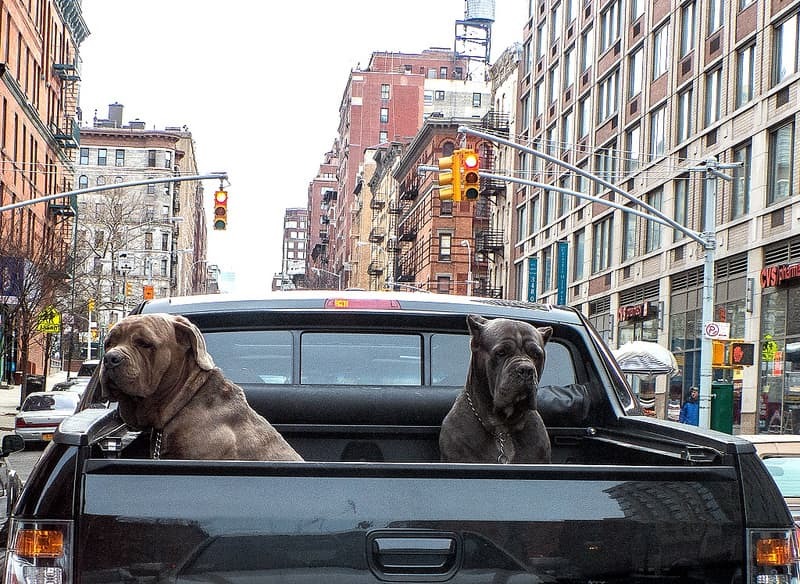 If it is not possible to have your dog ride in the cab of your truck, you can secure them in a crate in the bed of the truck. Although this isn’t a preferred method, as the dog can still be thrown about their crate, it will keep the dog from jumping out or being thrown from the truck altogether. Ensure that the crate is held snuggly in place with straps that are in good condition and there is little to no movement available to the crate.Another method truck bed restraint method is to use a harness and restraint system. This system includes a strap that goes across the width of the pickup’s bed and the dog is then tethered to that via a special harness. These keep the dog from being thrown or being able to jump from the bed of the pickup. When traveling with pets it is the owner’s responsibility to keep that pet’s best interest in mind. By using a simple restraint method, you can help to ensure that your pet is always safe while riding in a vehicle.